Step 1 Heat the oven to 375 degrees. To make the crust, combine the flour, ground almonds, 3 tablespoons sugar and the salt in a bowl. Cut one-half cup cold butter into small pieces and work it into the dough with your fingers or a pastry cutter until the dough is crumbly and evenly combined but not pasty. Step 2 Combine the egg yolk, one-half teaspoon vanilla and 2 to 3 tablespoons whipping cream. Make a well in the center of the flour mixture and pour the egg yolk mixture in. Use a fork to quickly stir until the mixture can be formed into a ball. Step 1 0Remove the tart from the oven and cool. Serve warm or chilled. In Recipes-list.com we have selected the most viewed recipes from category - Desserts . Enjoy the best recipes specially selected for you! 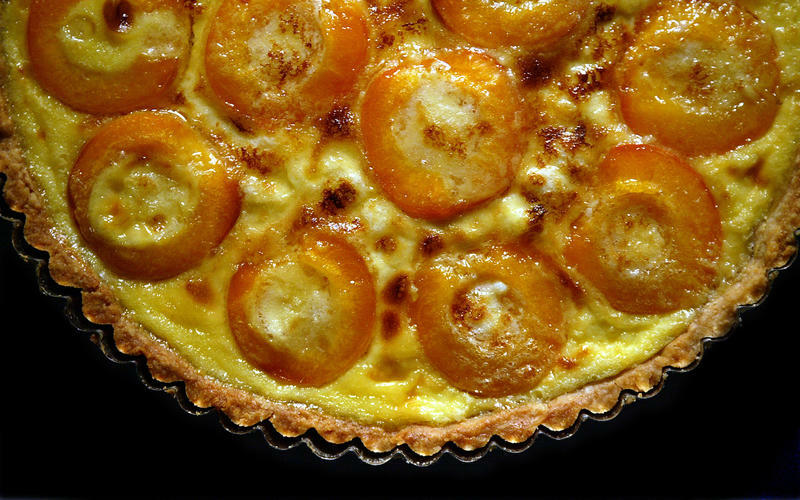 Apricot tart brulee is the right choice that will satisfy all your claims.